The Academy Awards, commonly known as the Oscars, are the best-known movie awards in the United States. 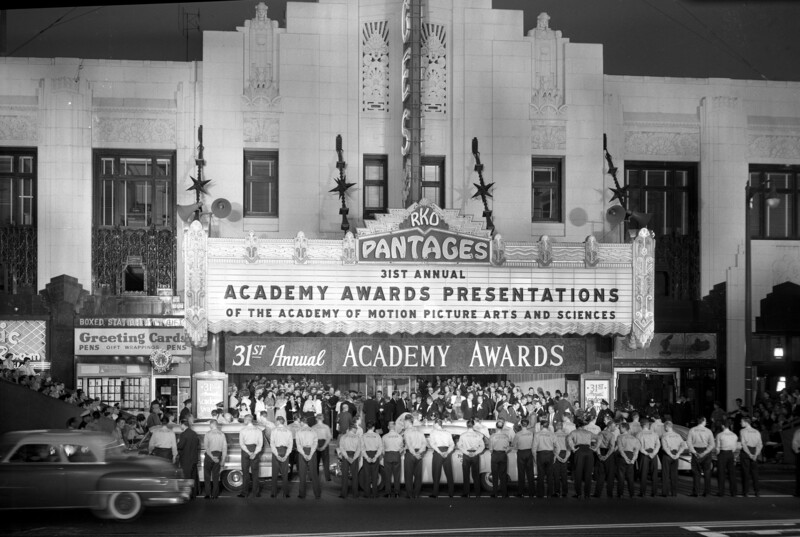 The awards have been given by the Academy of Motion Picture Arts and Sciences since 1929. The awards ceremony takes place each year in late February or early March in Hollywood, California. At the end of 1920s, the American film industry was in a crisis. When radio was invented, the people didn't go to the cinema. The owners of the studios had problems. They had to pay the workers for a good salary, but that was impossible at that time. Many people fought for a good salary and a good working time. The director of the successful Metro-Goldwyn-Mayer-Studios, Louis B. Mayer met two good friends because he wanted to speak about the problem. In the first years of the award, the trophy was called Academy Award of Merit. The godfather of the name Oscar is not clear. It is certain, that the name was used in 1931. There may be four people, who could be the godparents. The former board secretary of the academy Margaret Herrick said: "He looks like my uncle Oscar!". Bette Davis said that he looks like my first husband Harmon "Oscar" Nelson. 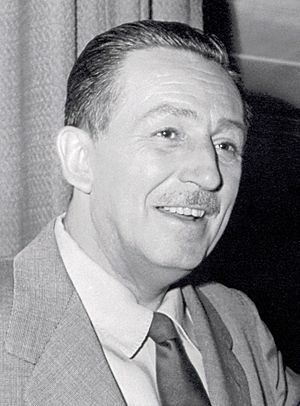 The film columnist Sidney Skolsky said, that he is the name giver, and the fourth person was Walt Disney. It is said that Oscar is not the official name of the statue. But the nickname is trademark-protected. The statue is 13 ½ inches tall and weighs 8½ pounds. Laurence Olivier and Joan Fontaine, stars of the film Rebecca which won Best Picture in 1940. Leonardo DiCaprio was nominated for The Aviator, Blood Diamond, and The Wolf of Wall Street, before winning in 2016 for his portrayal of Hugh Glass in The Revenant. Gone with the Wind from the year 1939 was the most successful film for a long time with ten Oscars. Then, in 1960, Ben-Hur won eleven Oscars. In 1998 Titanic also won eleven Oscars, so they were in a tie. Six years later, The Lord of the Rings: The Return of the King won eleven Oscars. The five categories best picture, best director, best actor, best actress and best Original Screenplay are the most important categories and they are called the Big Five. There are only three films that won all these categories: It Happened One Night, One Flew Over the Cuckoo's Nest and The Silence of the Lambs. All About Eve and Titanic had 14 nominations. This is the nomination record. Katharine Hepburn (1907–2003) has the most awards as a performer. She received 4 Oscars in the category best actress. Meryl Streep has the most nominations as performers with 17 Oscar nomination. Jack Nicholson, Daniel Day-Lewis and Walter Brennan (1894–1974) have three Academy Awards amongst men. Jack Nicholson also has a nomination record (12 nominations). The person, who has the most Academy Awards is Walt Disney (1901–1966) with 26, including 4 Honorary Oscars and he has 37 nominations. He also won 4 awards in 1954, so he got the most awards in one year. The woman, who has the most Oscars is the costume designer Edith Head (1897–1981). She has 8 Oscars and 27 nominations. The persons, who has the most Oscars and still living are the composer Alan Menken (8 Oscars) and Dennis Muren with 8 Oscars, including 3 special prices and 15 nominations. The cartoon characters Tom and Jerry are the trick movie stars, who have the most awards. Academy Awards Facts for Kids. Kiddle Encyclopedia.